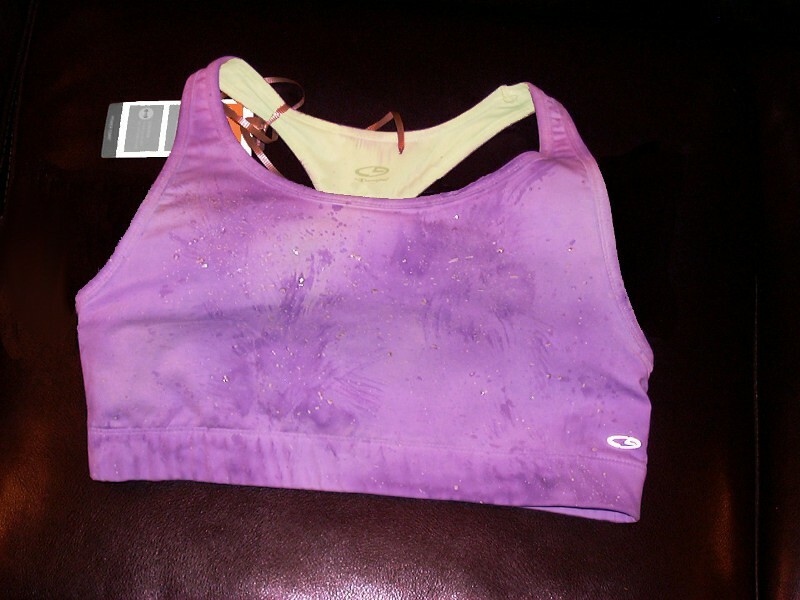 This new (with the tag) Champion-brand Sports Bra was donated by Jean Wilson and decorated by Gayle Caro. It was decorated with fabric paint to ensure that the bra is colorfast and completely washable. The fireworks design celebrates survival.